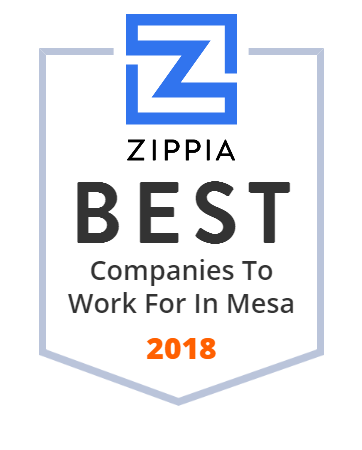 We hand-curated a list of the best companies to work for headquartered in and around Mesa, AZ using data on salaries, company financial health, and employee diversity. A leading provider of smart transportation solutions, American Traffic Solutions specializes in serving the nation's largest fleets and rental companies. They have been providing road safety solutions for nearly 30 years now. Horne Motors of Mesa makes buying used cars fast and easy. Since 1991, the company has been providing customized services to Arizona clients. Aside from helping customers in finding a car that will match their needs, the friendly staff of Horne also assists people with their finance application. SpunLive™ allows you to broadcast themselves LIVE and IN THE MOMENT™ any time, any place, directly from their cell phones! Established in 1978, Telonics Inc. is a private corporation that provides solutions to the technical needs of the wildlife research community. Since its founding, the company has applied the advanced technologies required for wildlife research to oceanography, meteorology, space communications, and more. Telonics is comprised of over 70 staff members and operates in a modern 25,000-square-foot laboratory in Mesa, Arizona. For over 65 years, Apache Sands Service Center has been the go-to business for automotive repair, towing, and flat tile repair needs of customers in the Mesa, AZ area. They have ASE-certified technicians who perform wheel alignments, preventive maintenance, and air conditioning system repairs. Community Bridges, Inc. (CBI) was incorporated as a private non-profit, 501(c)(3) organization in 1982 and has a 31 year history of providing comprehensive, medically integrated behavioral health programs which include prevention, education and treatment services using cutting edge, nationally recognized treatment models throughout Arizona. Products to help you create a lifetime of wellness powered by a relational marketing opportunity to create life-changing income. Freedom to Live. 1st Residential Mortgage LLC is a reliable company that provides a variety of products to meet your mortgage requirements. They are committed to making the process of securing a mortgage simple and straightforward. A family-owned and operated company, Ballard Truss has been in the business since 1976. They are known for providing high-quality wood roof and floor trusses for projects ranging from small additions to large multi-family structures. Founded in 1950, Empire Cat is a family-owned business that specializes in providing services to clients in the construction and mining industries. Today, Empire ranks among the top Caterpillar dealers in the world. The company has more than 1,600 employees in Arizona and southeastern California. Spencers TV & Appliance is a family owned Appliances, Electronics, Mattress store located in Scottsdale, AZ. We offer the best in home Appliances, Electronics, Mattress at discount prices. Founded in 1980, Builders Guild, Inc. is a reputable company that offers general contracting services to commercial and residential clients in Arizona. The company has experienced pros that are committed to making the construction process less stressful and more rewarding for customers. Whether it's for home or business, Stapley Action has a huge selection of garage door products. Aside from installations, their team of pros also specializes in handling garage door repair and replacement projects. They have been serving clients in the Mesa, Gilbert, Chandler, Scottsdale, and Phoenix areas since 1986.